A new study has found that keeping resuscitation efforts going for longer could improve brain function in survivors. The sooner that CPR is started after someone’s heart stops, the better. That we can all agree on. Now, Japanese researchers report that continuing CPR for a half-hour or more may help victims survive with good brain function – even after a full 38 minutes – according to a study presented at the American Heart Association’s Scientific Sessions 2013. But how did the researchers come to these conclusions? They reviewed data on more than 280,000 people who had experienced cardiac arrest outside a hospital. When the patients’ hearts stopped, there had been at least one other person nearby. Next, they narrowed that large group down to those whose hearts started beating on their own after resuscitation. Doctors call this “return of spontaneous circulation.” This group included almost 32,000 people. After adjusting for other factors that can affect neurological outcomes, researchers found that the odds of surviving an out-of-hospital cardiac arrest without severe brain damage dropped 5 percent for every 60 seconds that passed before spontaneous circulation was restored. 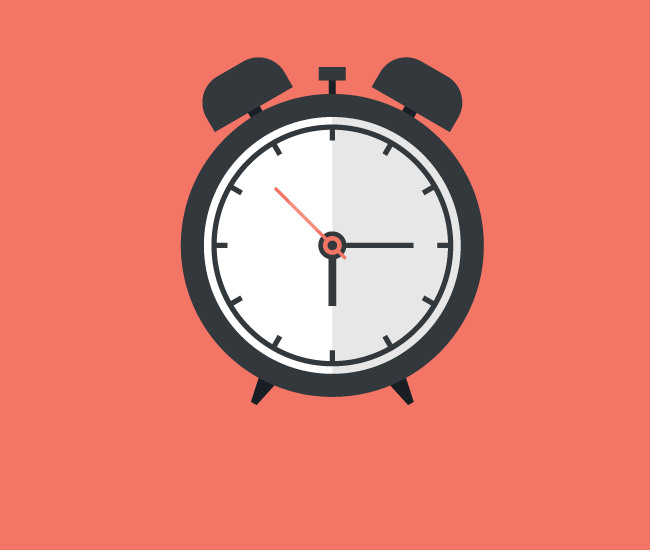 Based on the relationship between favorable brain outcomes and the time from collapse to a return of spontaneous circulation, the researchers calculated that CPR lasting 38 minutes or more was advisable. “It may be appropriate to continue CPR if the return of spontaneous circulation occurs for any period of time,” said Ken Nagao, M.D., Ph.D., professor and director-in-chief of the Department of Cardiology, CPR and Emergency Cardiovascular Care at Surugadai Nihon University Hospital in Tokyo. This research hasn’t been officially published in a peer-reviewed journal yet, but the findings are encouraging. Great post. 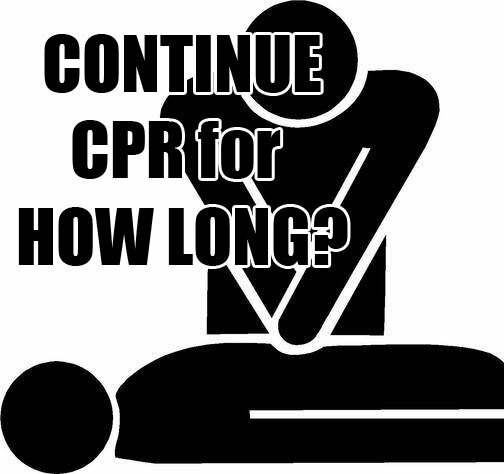 I teach a lot of CPR classes, and people always ask me how long they should do CPR. I give them a few criteria of when they can stop, but this sets a goal they should reach for. Really? Because my dad received cpr for TWENTY minutes last week when he went into cardiac arrest. Since he was already at an ER (and already WITH THE DOCTOR) for breathing trouble, he received cpr RIGHT AWAY. Since his brain was without oxygen for so long (remember, they performed CPR for 20 minutes), the only part of his brain that was NOT severely damaged was his brain stem. So I think you should reevaluate the accuracy of your sources. I’m sorry that your experience wasn’t better. I can’t claim to know what you’re going through, and what the causes of the cardiac arrest were that lead to this result. Sometimes there are complications that change the potential outcome and it is out of our control. I recommend watching this video for more information. The brain stops receiving oxygen after about 4 minutes. After a few more minutes you start to get brain hypoxia (brain damage due to not getting enough oxygen to your brain). Just a few minutes after that, your brain hypoxia turns into anoxia – which is obviously much worse. So I don’t see how performing CPR for 30 minutes is at all effective. People usually stop performing CPR after about 10 minutes because, after that, there’s already too much irreversible brain damage – which essentially leaves and individual brain dead. BTW, my dad passed away (the day after I posted my original comment) due to severe anoxic brain damage (because of not getting any oxygen to his brain for 16 minutes). Sarah you are talking about stuff that apperently you don’t know much about, depending on the type of Heart Attack CPR can be completely useless. However if someone’s heart stops due to something like electrical shock and there is no obstruction then CPR can be quite effective at keeping someone alive and preventing brain damage. I am sorry for your loss, but your specific case does not overshadow 10s of thousands reviewed in this study. I think the point she isn’t getting is that performing cpr is what gets oxygen to the brain until there is spontaneous cardiac function .Unless there are certain circumstances preventing the oxygen from being able to reach the brain. Not true. My son came home to find his girlfriend not breathing no heartbeat called 911 and started compressions. Took paramedics 5 minutes to get there they worked on her for 12 1/2 minutes gave up on the CPR gave her a shot in the heart and she is walking talking speaking and remembers everything that has happened in her life. I wonder if anyone of you could shed light on an episode that occured to my elderly mother a few years ago, while she was an outpatient at my local hospital. She was extremely weak because of a therapy she was following on a day hospital basis and collapsed while being fitted with a IV cannula. At that point (we later discovered from her hospital records) she had cardiac arrest and was given CPR by the ward doctor. She very quickly recovered but was kept in hospital for two days, to check on her I suppose. The fact is that I discovered that she had been resuscitated only because I noticed a massive bruise on her chest and asked a nurse how she’d got that. I then made enquiries with a (different) doctor but he said that there never was cardiac arrest, that she had been given CPR as a precautionary measure. Is it possible? We had the impression the doctors didn’t want us to know about the cardiac arrest, maybe they were afraid of litigation. It seems to me that no one would perform CPR if the heart is still beating. Stephanie- People do CPR all of the time for people who aren’t breathing, but still have a pulse to also help prevent Cardiac Arrest, it doesn’t mean they went into cardiac arrest. I don’t understand why you would think anyone would think it’s appropriate to sue the doctor who saved your mother’s life. Are you implying that if your mother’s heart stopped that it didn’t go into cardiac arrest by itself? That it went into arrest because of something they had done? There is also a difference if someone was worried that she did go into cardiac arrest but then they realized she did not. The Emergency Room functions much differently.